Many of us are familiar with the following situation. The kids grow up fast until, one day, seemingly out of nowhere, they are no longer living under your roof. Your three-bedroom house is now only occupied by you and your partner. A little bit of time passes before you decide that you want to spruce up the spare bedrooms, just in case you ever have guests over. This means one thing – an almighty spring clean. As you survey both bedrooms, you realise that you’re going to be left with a lot of waste – so much waste that you’ll probably need to hire a skip. 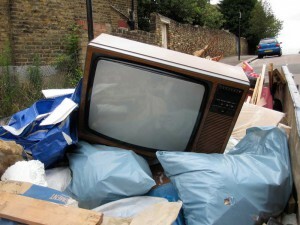 Your internet search of “cheap skip hire in London” leads you to Express Skip Hire, whose rates are the best around. You are now on a mission to rid your home of all clutter. Before you know it, you’re up in the attic getting sidetracked by photos of uncle Bob’s retirement bash from 25 years ago. The photos certainly won’t be going in the skip, but you find plenty of stuff that will be, like lampshades, books, suitcases, prams and so much more. By the time the kids arrive to collect their possessions, you have already accumulated enough waste to fill a mini skip. Your offspring aren’t as sentimental as you thought, and they leave plenty of stuff behind for dumping. That mini skip that you were planning on hiring needs to be upscaled. You decide on a six-yard skip and, just a couple of days after delivering the empty skip, they return to take it away, full to the brim with the unwanted contents of your attic and bedrooms. Now you’re free to start giving those spare bedrooms a long-awaited makeover! For more information on hiring a skip for your spring clean, contact Express Skip Hire today.